At Zen Space Solutions, we know that closets aren’t the only things that need organization. That’s why our designers are trained to attend to all of your organizational needs. One of our more popular services is our custom kitchen and pantry systems. Our custom designed kitchen and pantry storage systems are exactly what you need to store and arrange all of your household provisions and kitchen accessories. Is your current kitchen storage area cluttered? 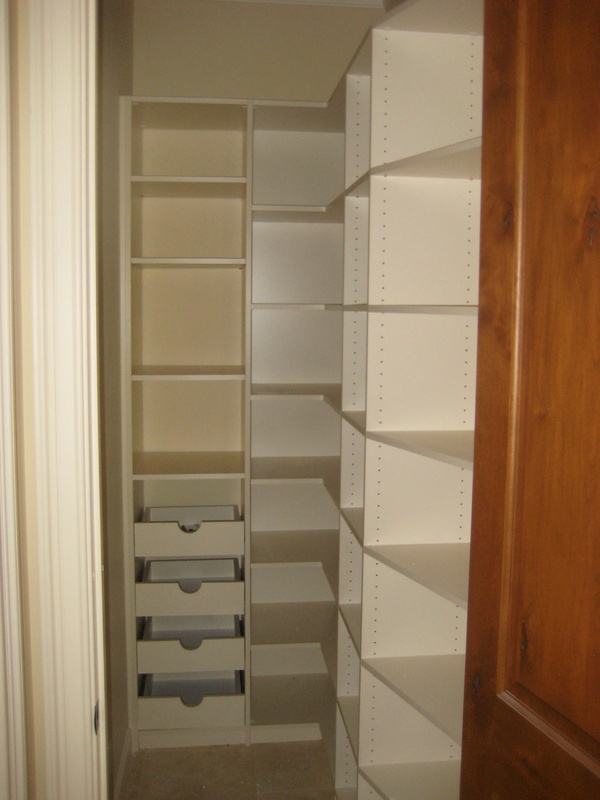 Let Zen Space Solutions custom design a pantry storage system that will solve all of your kitchen storage problems. Our custom pantry storage systems can be designed in a variety of different ways. Along with our design team we employ highly skilled craftsmen who can custom fit pantry cabinets, pantry shelves, pantry drawers, pantry racks, or any other design specifications that you require. Whether you have a large walk in pantry or limited to no kitchen storage, Zen Space Solutions will assess and determine all possible options to utilize your storage space to the best of its potential. If you are in need of a professional and efficient kitchen pantry storage system then Zen Space Solutions is the place for you. When it comes to custom kitchen pantry storage systems and custom pantry design our service and expertise is unequalled in the field. We are confident that we can design, customize, and install your custom kitchen pantry storage system to meet and exceed your expectations. We know that you will be pleased with our expert skill and flawless technique. Our custom pantry designs are beyond compare. And while you’re at it, consider new made-to-order cabinets for your kitchen, bathroom, or any other room in your home.